If they were selling a house in 2018, 42% of Americans agreed that they would look to their real estate agent to provide them with suggestions about how staging with smart home products and technology could impact their sale price. 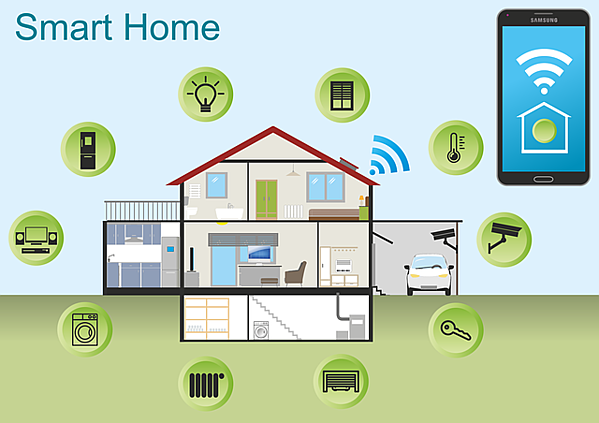 This proves that now is the time to begin familiarizing yourself with the latest trends in smart home features. The booming popularity of Amazon Echo is testament to how much we love voice-activated and smart technology in the home. When staging your next modern listing, here are a few smart home features to keep on your radar. Smart lighting is a system of lighting technology that is designed with energy efficiency in mind. Many systems have automated controls that may be activated based on daylight or even home occupancy. Security cameras have come a long way over the years. Now they can be installed virtually anywhere and many are difficult to even see. Home security will always remain one of the most desirable aspects for any home buyer. Cutting costs with energy efficient appliances is one trend that continues to gain momentum. Home staging with any of these devices can be very beneficial. Being able to use voice to activate technology is a thrill that hasn’t yet worn off. It’s like having your very own command center in your home. Fighting with old-school thermostats is a thing of the past in today’s tech era. Using smart technology staging for your clients is a great way to impress potential buyers, showcase your knowledge to the sellers, and stand out from the competition. Looking for new Facebook content? Remind leads why they need your help to find their dream home with this free infographic!